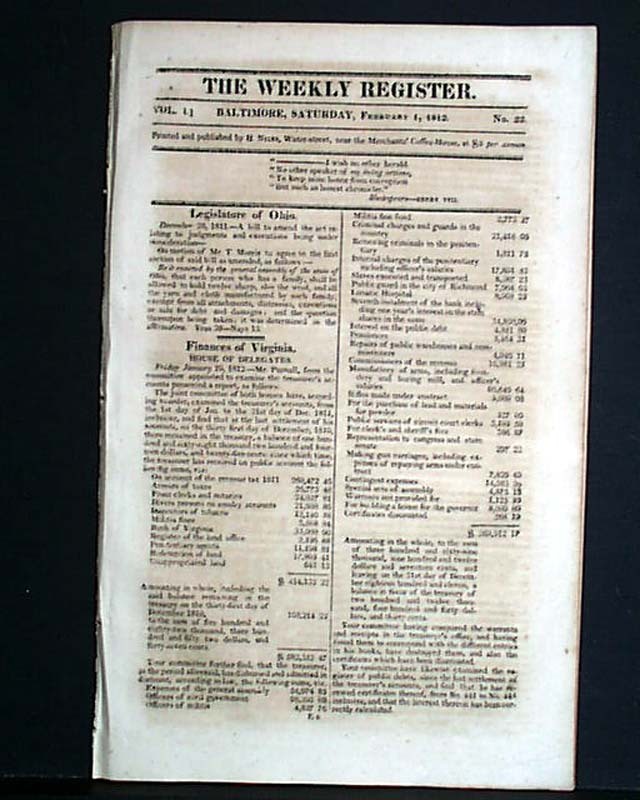 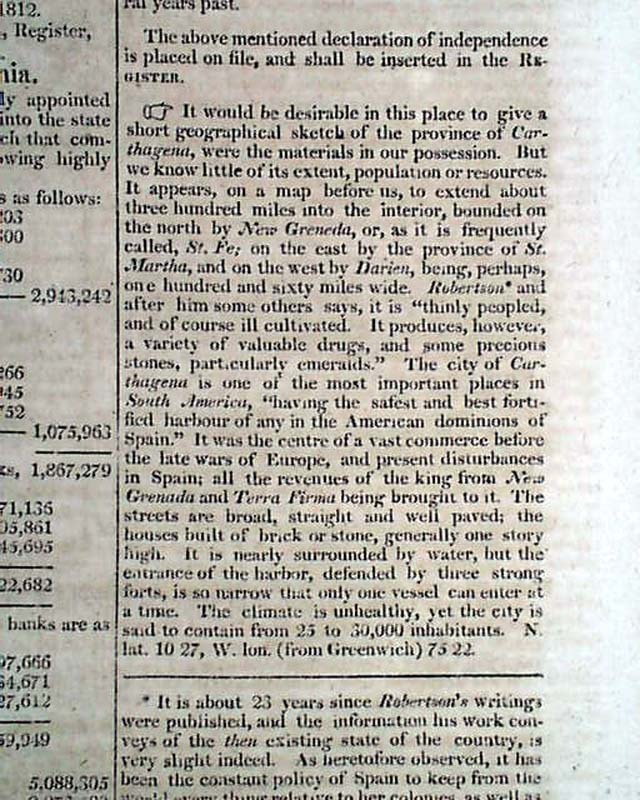 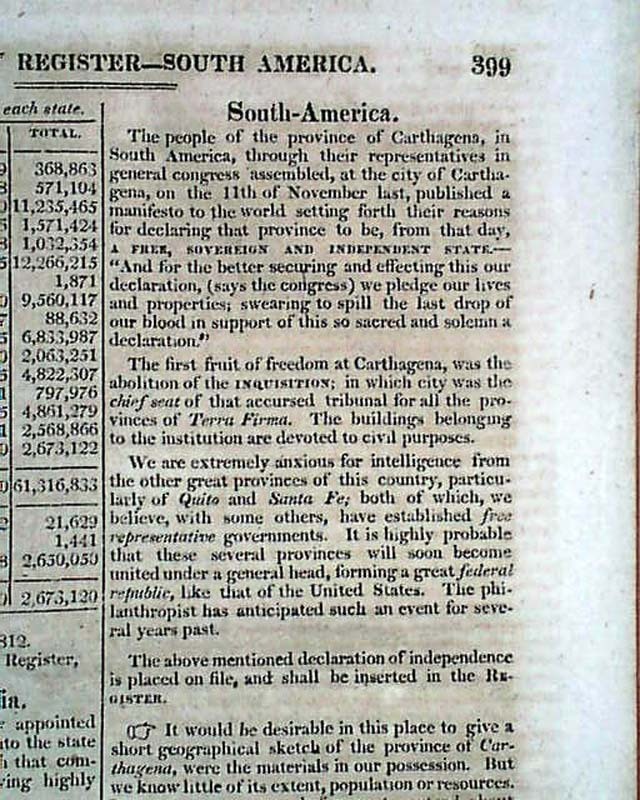 Page 7 has under the heading, "South America," makes mention of the manifesto of Carthagena, stating in part that in the previous November, they had declared themselves to be: "A FREE, SOVEREIGN AND INDEPENDENT STATE...," and continues: "The first fruit of freedom of Carthagena, was the abolition of the INQUISITION; in which city was the chief seat of the accursed tribunal for all the provinces of Terra Firma [Terra Firme]" - that being the Spanish territory in north-central South America, plus more. 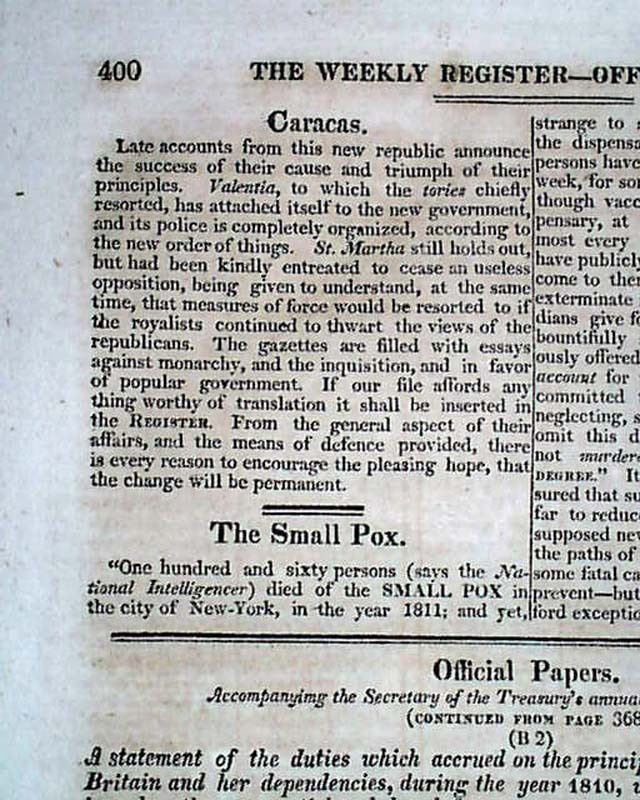 Page 8 has, "Caracas," which states in part: "Late accounts from their new republic announce the success of their cause and triumph of their principles." 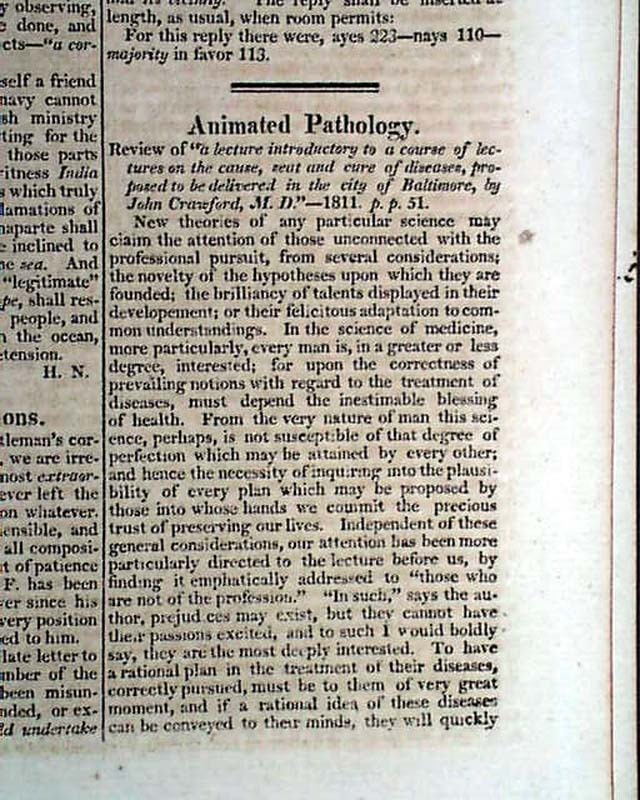 Other news of the day is found throughout (see additional images). 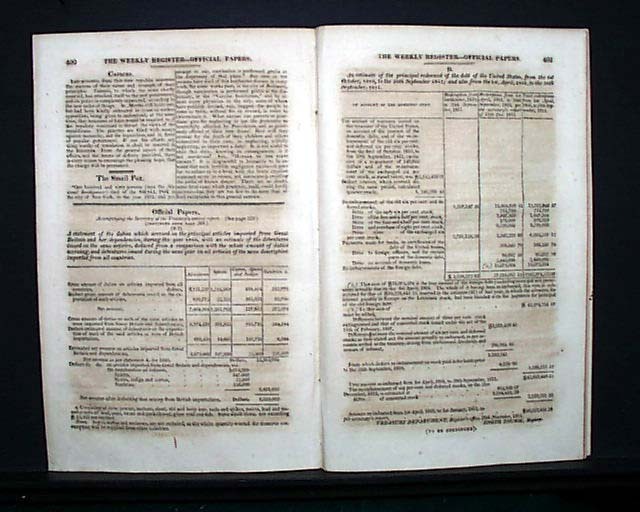 Sixteen pages, approximately 6 by 9 3/4 inches, very nice condition.